IBT Institute Private Limited is a premier institute with its presence pan India and working in the field of preparation of competitive examinations like Bank P.O/Clerk, S.S.C, Railways, Insurance & CTET Examinations etc. 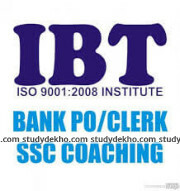 The Institute has given excellent results particularly in all banking and other Competitive Exams. 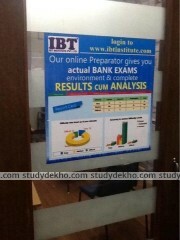 The Institute's commitment to the success of its students is a unique feature which gives consistent motivation, support, practice and latest notes/study material. 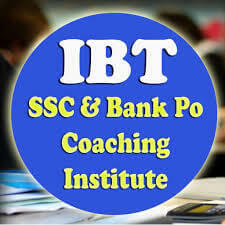 IBT has a core aim of providing best quality education to the students by providing experienced trainers, best in class study material, ranked No.1 Test series. 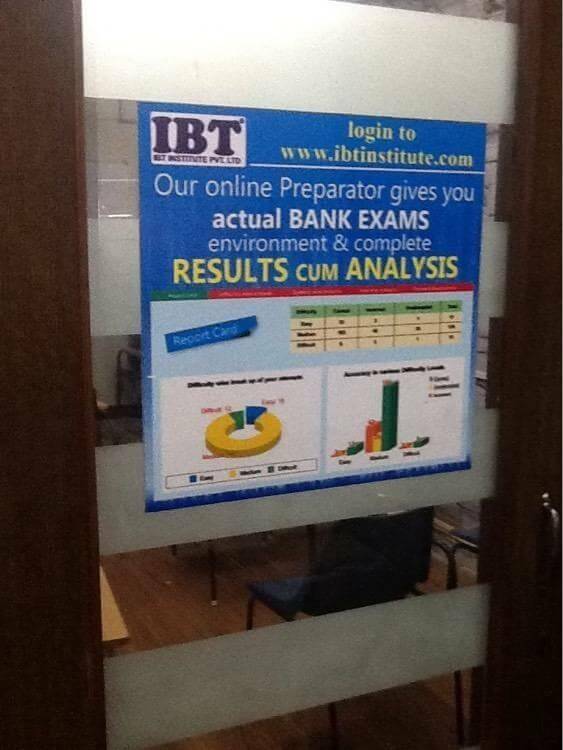 The Institute has produced excellent results in all Banking, SSC and other Competitive Exams. Teachers friendly tha, math(Yogesh sir)teachers books m jyda pdate tha, properly notes provide karate, environment good, extra classes or weekly doubt session hote. overall best experience, teachers co-operative,study material good, insfrastructure good and doubts properly clear in doubt session. teachers teaching way good, study material should be improved more...., study environment and no doubts. teachers friendly, each query solved, study material(wrong answer in quant/reasoning books), environment good and no doubts. maths or english teachers fastly krwate and not experienced,kuch samajh ni ata doubts bhi clear ni hate tha, reasoning ok,study material kaffi(errors and mistakes),environemnt tikh but library mai 2 out of 5 computer was working. teachers are brilliant ..i like the teaching way .study material is very good, friendly environment and no doubts. Flexible batch timings, cooperative staff, best teachers. Nice institute with a very nice faculty. The environment is student friendly and they have excellent infrastructure for the ease of students. The infrastructure of this coaching is great, I like the reasoning coz teachers make us understand the best way, I have a problem with quant only. starting 15 days classes was going well but now syllabus is running very fast. Everything was good including teachers, study material, environment, and doubt classes. The faculty is very much interactive, responsible and available for any doubts and clarifications. 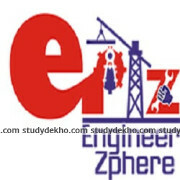 they provide such a good environment for the preparation of the examination. Environment and study material is really great, teachers are too good but there is no doubt session. so the little improvement can be done.